My over-active sweet tooth still pangs for the taste of delicious Italian gelato, scooped into cute little cardboard cups and served with neon coloured plastic spoons. In fact, this little treat became quite the indulgent staple of my diet whilst I was holidaying in Venice last year, but it has taken me this long to attempt to recreate some of that iced-Italian magic back here in Somerset. 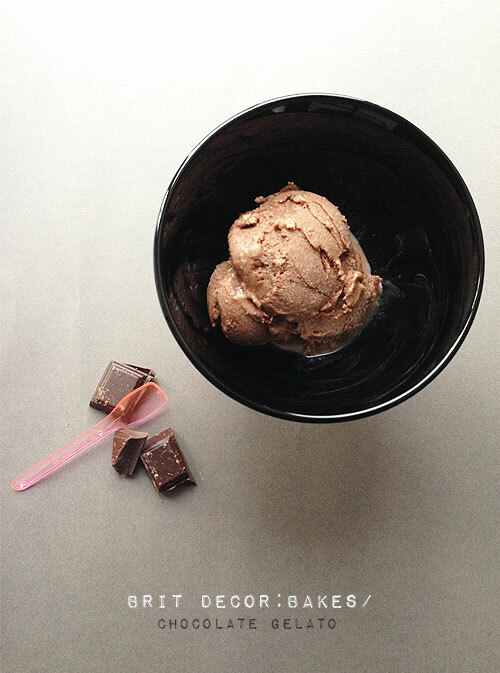 The great thing about gelato is that it contains less fat than regular ice cream due to the absence of any cream in the ingredients, which makes for a more intense flavour and boy can you taste the chocolate in this particular recipe. 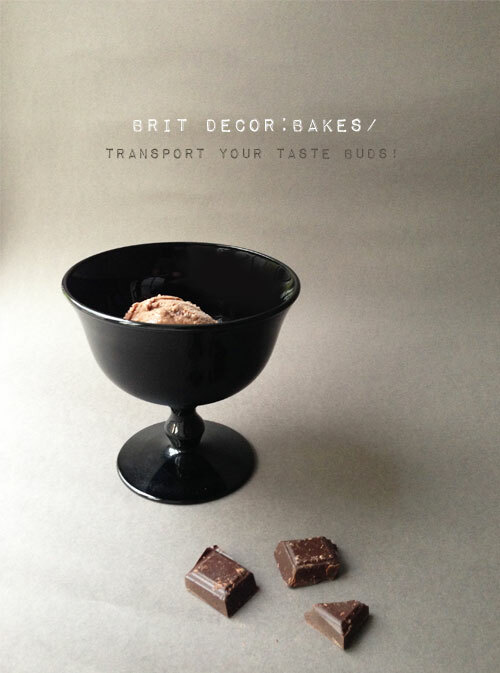 I just couldn't resist a few wickedly indulgent spoonfuls whilst writing this post, which has led me to the conclusion that there will definitely have to me more gelato recipes featured on Brit Decor throughout the Summer months. Even with the predicted downturn in temperatures here in the UK this Bank Holiday weekend, I simply won't be able to leave this batch alone. So come on friends, let's transport our taste buds to Italy! 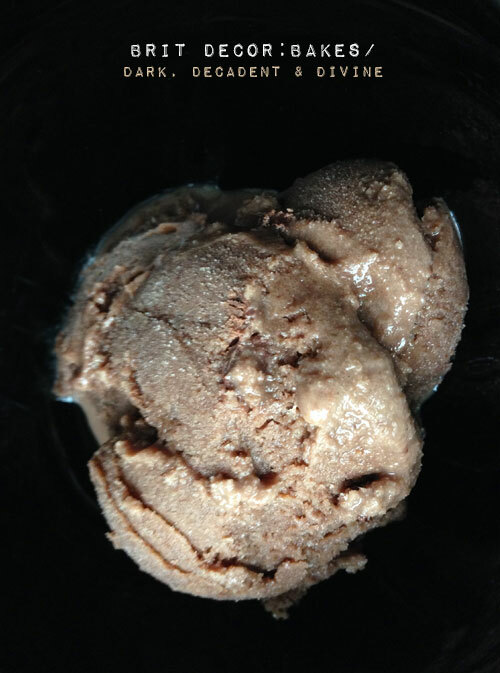 (Ideally you will need an ice-cream maker for this recipe - I used a Panasonic model but there are heaps of choices on Amazon). Begin by boiling the milk in a saucepan before removing from the heat and placing to one side. Break the chocolate into pieces and then gently melt this in a heatproof bowl over boiling water, adding a couple of spoonfuls of the milk. 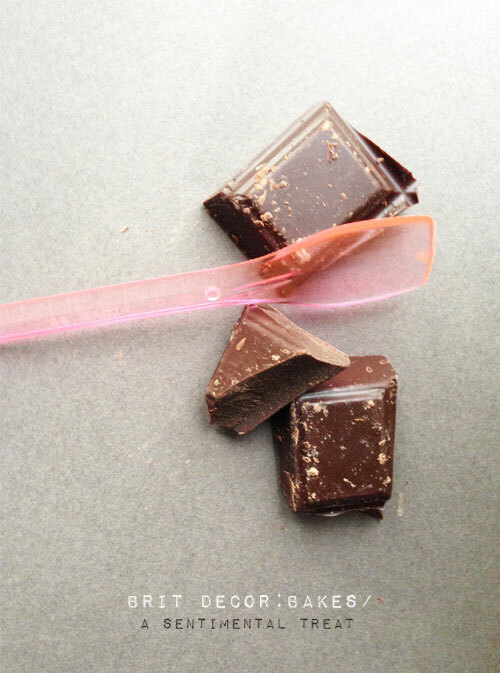 Once completely melted, pour the chocolate into the boiled milk and stir well. In a separate bowl, beat the egg yolks together with the sugar until you have a light and fluffy consistency. Gradually whisk this into the chocolate mixture and place on a low heat, repeatedly stir until this resembles a thick chocolatey mixture. Leave to cool before adding to an ice-cream maker to freeze as per the manufacturer's instructions. Brit Decor Bakes/ Doughnut Cupcakes!